Lightweight, semi-rigid, top-tube mounted smart phone Caddy. Molded EVA foam halves with durable woven nylon cover. Clamshell pod design opens to provide easy access. Mesh divider helps keep items in place. 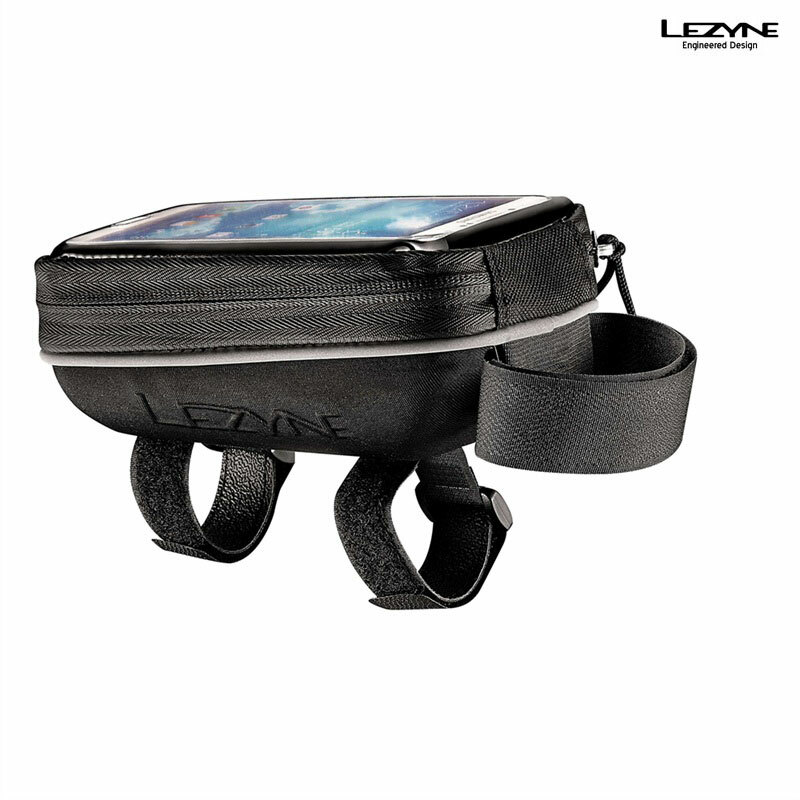 Smart phone pocket holds popular 4-5 inch models. Touch screen compatible clear panel provides control of phone. Three velcro straps attach caddy to top tube.